That video you created to market your product or services to the masses? You know, the one you spent a heap of money on? It’s beautiful, right? It’s grabbing, it’s just the right length, and it’s so-darned convincing you’re sure it will boost conversions like nothing else. Perhaps that video is unbelievably stellar. Maybe it will go viral amongst your target audience. But you know what you’re missing? Text. On the page. Explaining exactly what the video itself walks us through. Adagio.com uses descriptive text and video to describe its offerings. Confession: There are no speakers connected to my main system. This is by choice – I disconnected them years ago because it was too easy to get distracted by viral shares of the latest YouTube sensation. So I ditched them. Which means, if I want to watch a video – and the description enough better be compelling – I cross bookmark it to my laptop or iPhone to watch it later. Rarely will I stop what I’m doing to jump to another device. I’m not alone. Plenty of work computers have no speakers, not to mention the number of people who aren’t going to risk their jobs to watch your video content at work. And by the time they get home? They’ve forgotten all about it. Let’s not forget about folks hanging out in noisy areas (like restaurants and bars), who regularly surf while mingling with friends. And… the blind. There are plenty of low- and no-vision online shoppers. Help them spend their money by explaining just what you are offering. Who does it right? A while I gave two thumbs up for goTenna’s early marketing. The company integrated video and text throughout the website, which means I learned exactly what the product does without the need to watch a marketing video. Their current site does the same. 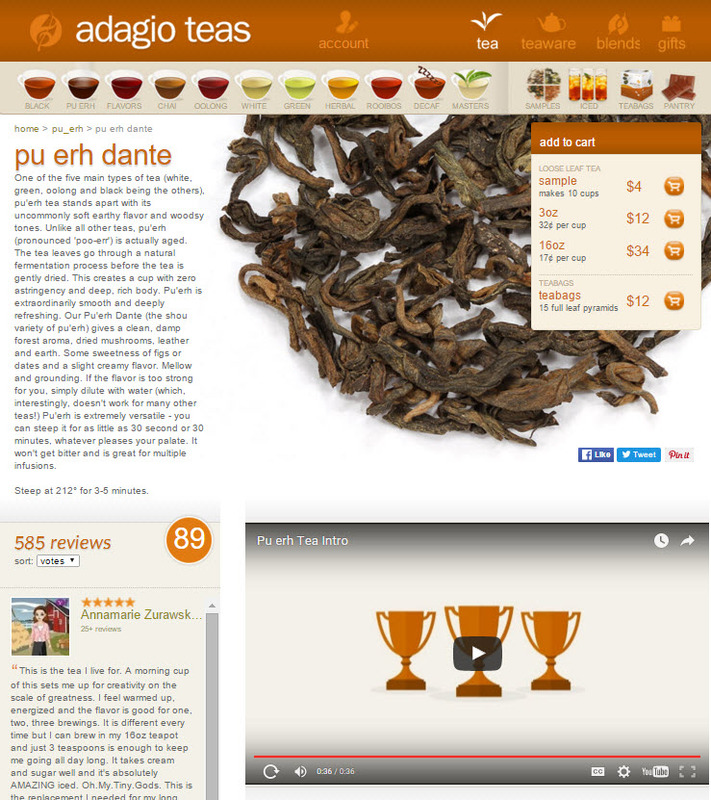 Another good example is Adagio.com, which uses text to describe it’s teas, and reinforces the message with video. If you’re going to sell, you need to treat video as part of the big picture, but not the only picture.